Things can escalate pretty quickly. Today's young celebs get love and hate in staggering degrees on social media. However, this very platform also gives them an opportunity to defend themselves and be examples for self-empowerment. Here's how our beloved artistas have stood up for themselves online. 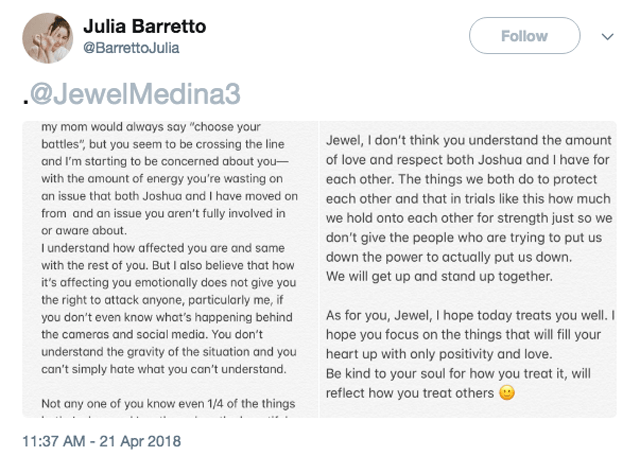 Joshua Garcia and Julia Barretto were recently hounded by breakup rumors because of an issue involving Joshua and a Twitter user. But instead of letting this piece of news define their relationship, the young lovebirds chose to stick together. 2. They stand their ground. Robi Domingo is no stranger to online bashing and admits that some days are harder to get by than most. He was previously Public Enemy #1 of two popular love teams, but he was able to clear the air about what really happened in the infamous Instagram story. Now that the situation has boiled over, he's learned that there will always be people who are quick to speculate and stir up gossip that can often put someone in a bad light. But if there's one role Robi can't play, it's being the victim. 3. They ignore the hell out of their haters. Have you ever wondered why you never seem to read or hear anything controversial about Janella Salvador? That's because no matter how hate comments she receives, she always chooses to focus on the good things in life and stay happy. Do you, girl! 4. They have friends who have their backs. When Gabbi Garcia was criticized for supposedly snubbing a fellow actress at a fashion show, her "main" gal pal rushed to her defense, resulting in a sweet Twitter exchange that put the naysayers in their place. It's so easy how people can forget that celebrities are humans, too, neglecting how fabricated news can emotionally affect them. That's why Gabbi sticks to friends and family she can count on when the going gets tough. 5. They use the hate as fuel to do better. 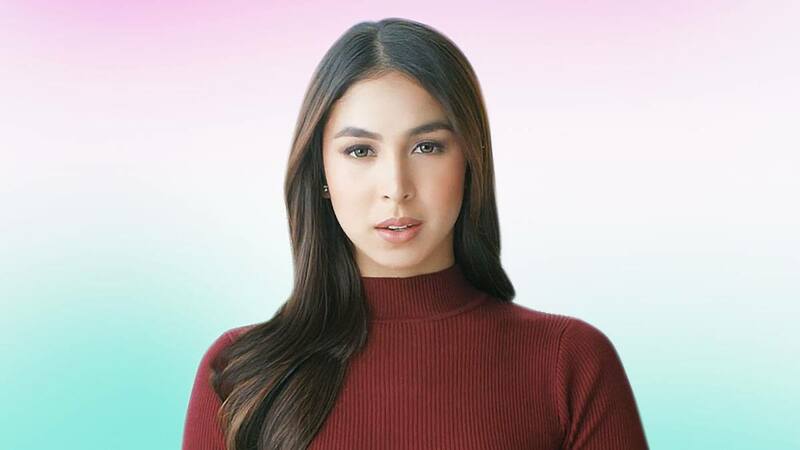 When newcomer Sanya Lopez took the lead role of Danaya in the Encantadia reboot, fans of the original series were quick to say that she didn't deserve to be on the same level as the other lead actors. Filling in the shoes of her predecessor was no easy task either, which was why she treated those comments as constructive criticism on her craft. She had a lot to prove—not to anyone in particular, but mostly to herself. 6. They choose to empower. Growing up in the limelight isn't easy, and Janine Gutierrez has years of experience with media scrutiny. However, being exposed to the negative side of fame at an early age has only made her stronger. She accepts the reality that no matter how well she's doing in her personal life and in her career, there will always be people who will try to bring her down. But that's exactly why she'll always choose to rise above. When online bashers start a fire, these celebrities make it rain. Stand up for yourself and capture the real you in the same way these celebs have with OPPO’s latest model. The OPPO F7 features a 25-megapixel selfie camera with AI Beauty Technology 2.0 for natural looking selfies, 16-megapixel rear camera, and a 6.23-inch FHD+ Super full-screen display. Choose your F7 from three stunning colors: Solar Red, Moonlight Silver and Diamond Black.